Mutual Regard completed a clean sweep for Ireland in the four major races at York to prove beyond all doubt that Johnny Murtagh is going to be as big a force in the training ranks as he was in the saddle. 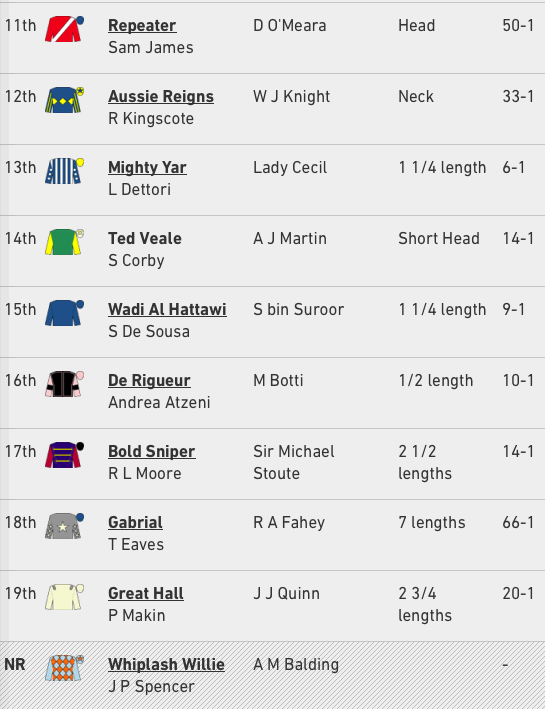 After wins for Australia, Tapestry and Sole Power in the three Group Ones preceding the final day on the Knavesmire, Mutual Regard was sent off an unconsidered 20-1 chance in the hands of 5lb claiming jockey Louis Steward, 19. The rider could be spotted moving strongly down the straight and after easing to the front inside the two-furlong marker, he had enough in the tank to win a battle with Van Percy by a length and a quarter. 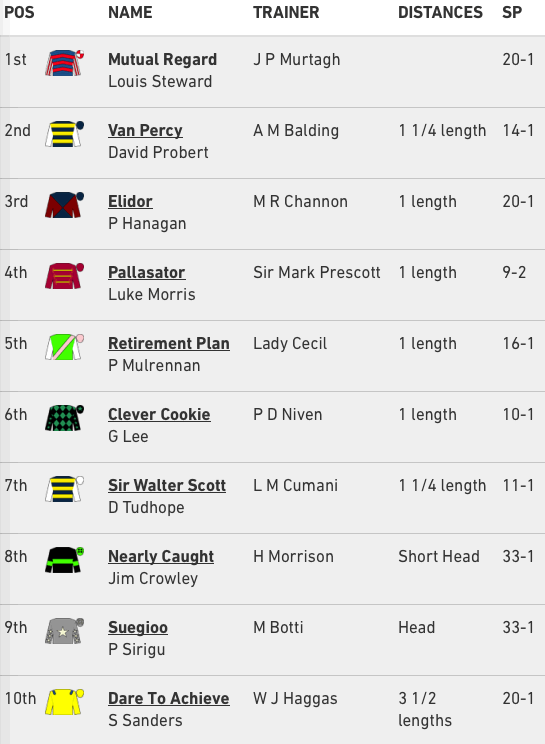 Elidor was third and the heavily backed 9-2 favourite Pallasator ran a big race to be fourth from his wide draw in stall 22, which meant he had to be dropped in almost last on leaving the gates. Pallasator had garnered all headlines pre-race as he is trained by handicap king Sir Mark Prescott and had been bought by the powerful Qatar Racing team. 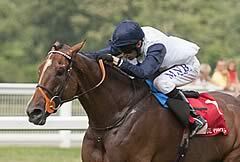 To rub salt into the wounds for Prescott, he sold Mutual Regard in October for 60,000 guineas to Andrew Tinkler. "I never won this race as a jockey, but I was second a few times," said Murtagh. "This lad had been going well at home. He got put up 11lb for winning first time out and I ran him in a Group Three last time and he ran a nice race behind Pale Mimosa (who won the Lonsdale Cup on Friday). "I thought a fast pace and one-mile-six would suit him, and Louis gave him a lovely ride. "I wanted Ross Coakley to ride, but he's suspended - Andrew looked at the stats and said this lad (Steward) is red hot. "He's a Moyglare Stud-bred and they get better as they get older. He's in a really happy place at the minute. 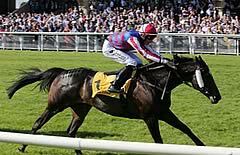 Ascot might be on his agenda now, but we'll see about the Melbourne Cup as he loves fast ground." Steward said: "He fought all the way to the line and made my job a lot easier in the end. I'm so pleased." RaceBets gave the winner a 20-1 quote for the Australian showpiece.